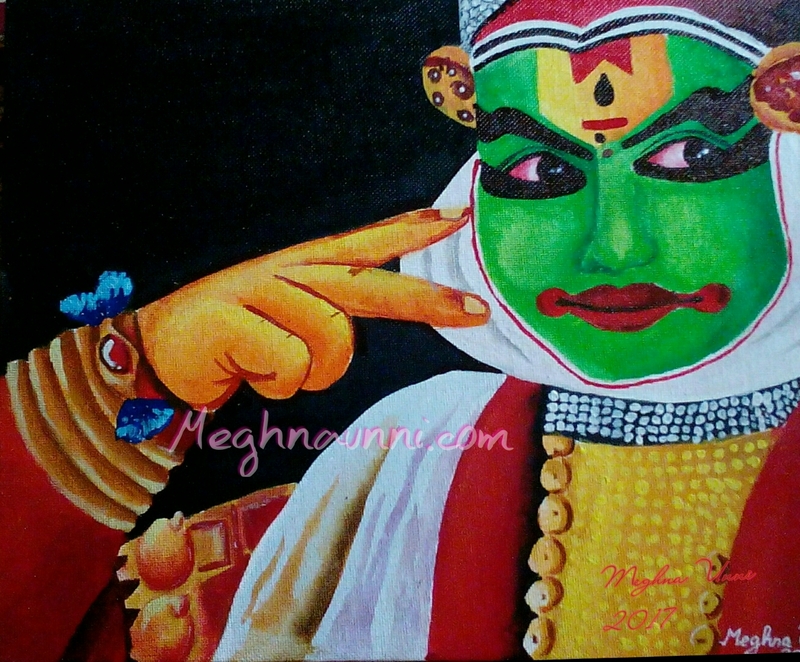 Kathakali Face Painting done by me. Gifted this to Latha Mam, my first teacher at The Schram Academy. I can say she is the one who identified that I can do art and told my mother. Thank You Mam. And it is she who taught me the first letters. She is an adorable person who appreciates the efforts of her students. Very lucky to be your student Mam. It is a great pleasure we are still in touch. Coming back to this painting, I have used a reference picture. Credits to the artist of the original painting. I loved this painting.